With a lot time spent indoors this winter, my survival was based on finding fun activities to occupy my busy toddler. 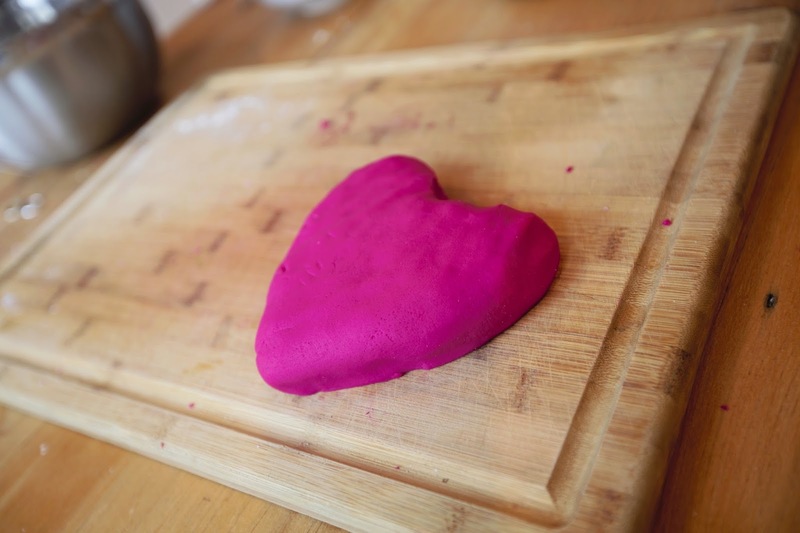 Thank goodness for playdough. She can play with it for hours on end. After a lot of trial and error and testing out various recipes, I found an all-natural, super-easy recipe (no cooking required!). Way cheaper than the store bought kind and fun for kids to help make. 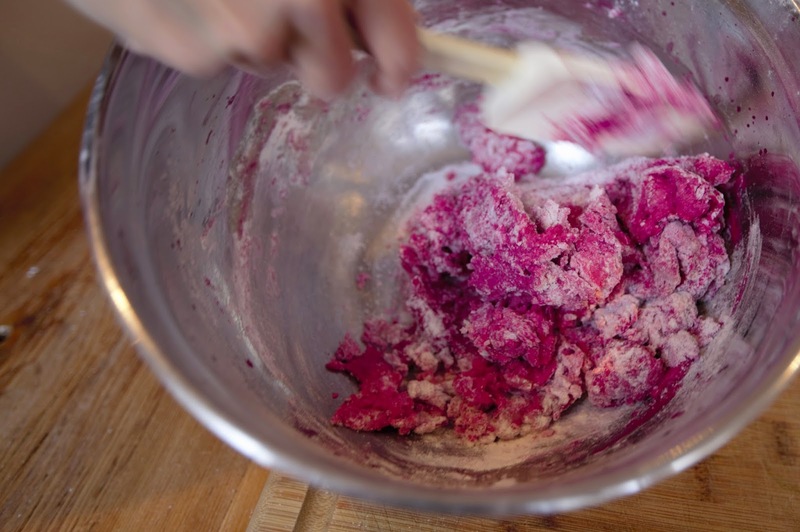 Mix flour and cream of tartar together in a large bowl. If adding glitter, mix it in at this point. Put salt into boiling water and mix to dissolve. 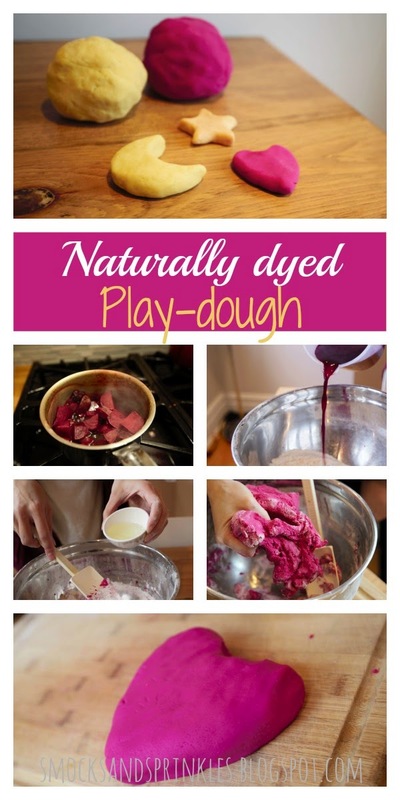 Mix in dye here if desired, or use water from boiling your natural dye ingredients. 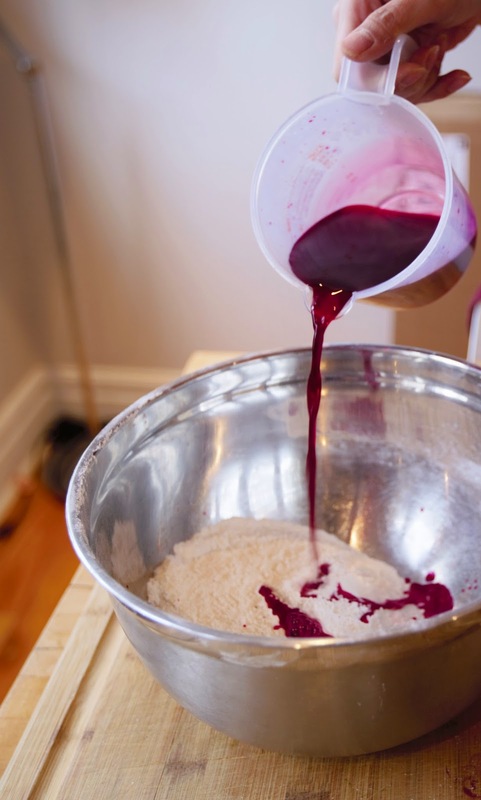 Pour boiling water mixture into dry ingredients and mix together slightly using a wooden spoon or spatula. Add in the oil and incorporate further. 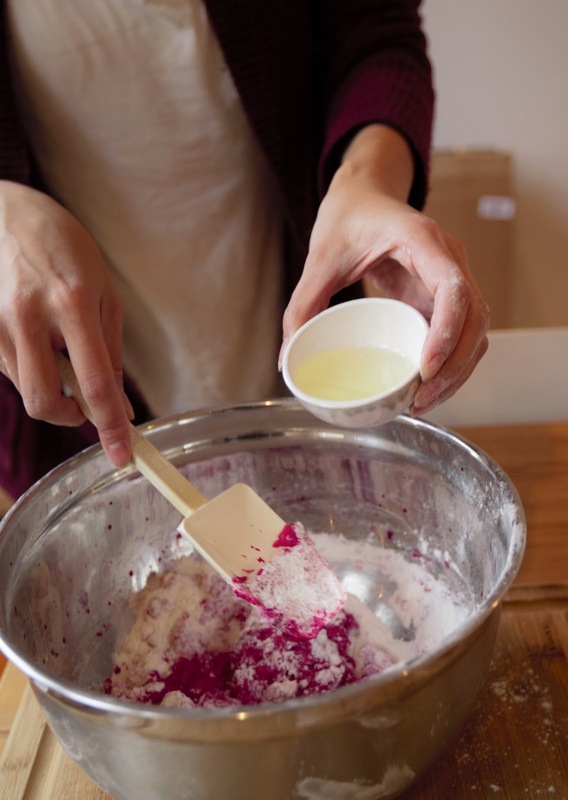 Once the mixture is coming together, knead it using your hands. Store in Ziploc bag. Lasts a long time (up to 6 months) if stored properly after playing. Tip! 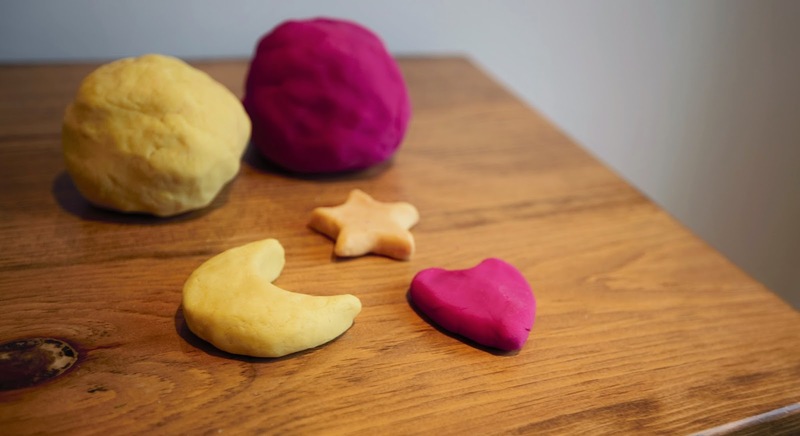 What kid doesn't love playdough? Perfect for giveaways at parties. You can match the colour to the party theme. 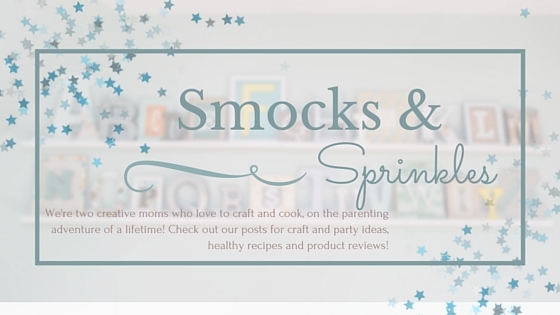 Add a cookie cutter for extra cuteness! 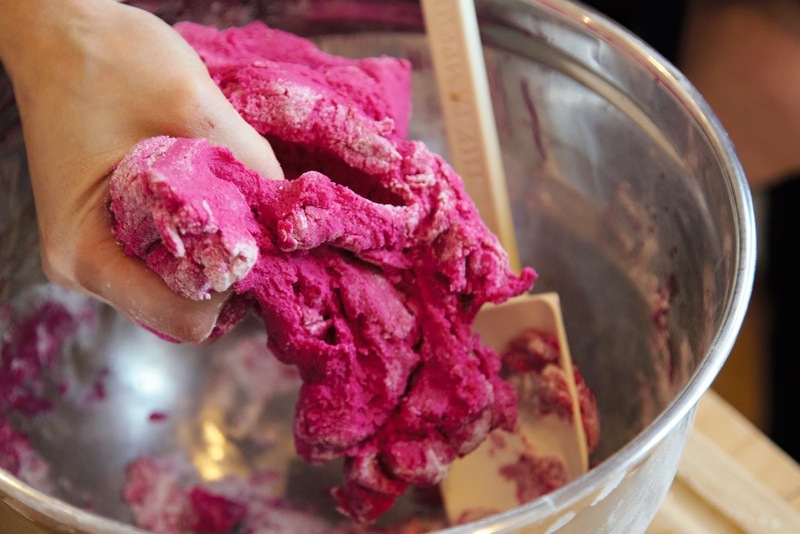 What's your favourite playdough recipe? 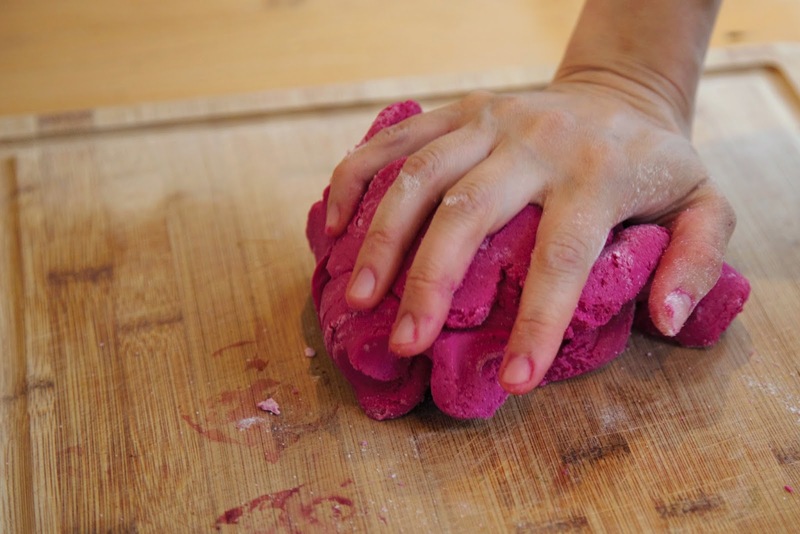 Please share, or let us know how your playdough turned out!